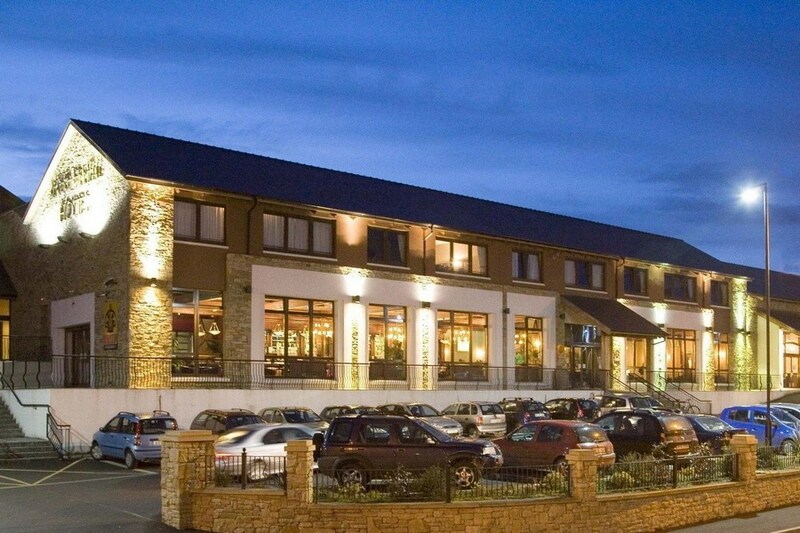 The Mount Errigal Hotel Letterkenny provides luxury accommodation in an ideal location. Set in the heart of Letterkenny, within walking distance of Letterkenny Town Centre.Â The hotel also has a fantastic Lesuire centre comprising, 22mÂ pool, sauna, steam room, jauzzi, Gym & day spa. The Mount Errigal hotel is located on the main access road (N14) to Letterkenny town from Northern Ireland and South Donegal. 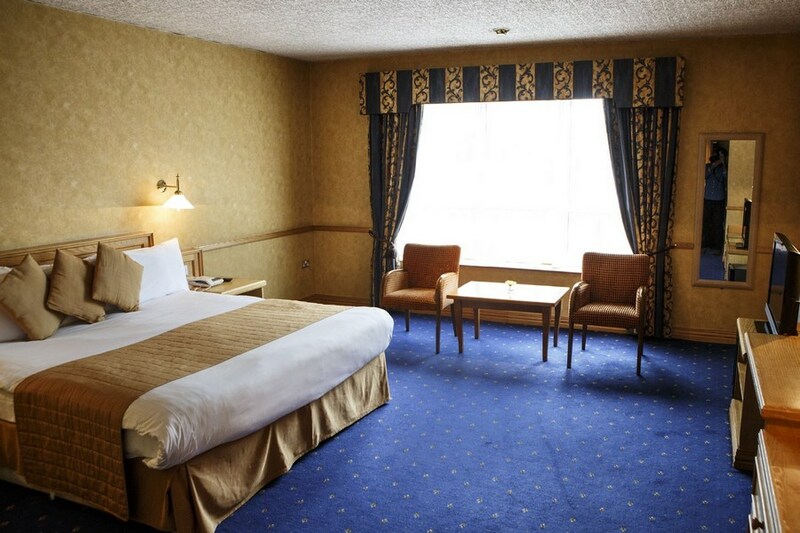 The Hotel is located 1 minute driving from Letterkenny City Centre and it is within easy reach of major airports and serviced by an excellent road network. Letterkenny is the largest town in Co. Donegal and is situated on a hillside by the River Swilly. As previously we enjoyed our time in the mount errigal. Staff were friendlyand always speak to you, in particular the excellent barmen(Conor especially). Food was lovely and value for money. Deputy manager Paul sorted out a big mix up with our food to a very satisfactory outcome, he is a gentleman. Room was very clean. We could have done with more bath towels as there were four of us and the fan in the small bathroom didnt work. The swimming pool area was spotless but I suggest stopping patrons blocking up the changing rooms with their belongings. The movie room for kids is a great idea. We will definitely be back. Staff were all lovely and helpful, bar food was delicious. Lots of local activities and leisure center to occupy children. We arrived on the Friday and stayed 2 nights . Hotel was lovely and staff were very friendly & helpful. Food was excellant! Rooms clean & beds comfortable . We used the Leisure facilities on both days & we really enjoyed it. Our stay was very enjoyable & we are definitely going back . Mount Errigal Hotel was the last word. We had four for our family room, but had trouble from we entered our room when our son and daughter saw a double bed for them to sleep in. Lovely lady on housekeeping immediately landed with a single foldup bed for my son, heaven again. Staff, service, food, and pool was fantastic. We will definately go back again on a holiday. Ten out of ten to the Errigal. Frauline and Desmond Young, Ballyconnell, County Cavan. Generally very good. Food service in the bar and service at breakfast could be improved. Staff very pleasant. We had a lovely stay here, Room as very big and comfortable, plenty of space for the 5 of us (2 adults and 3 kids). Staff were very friendly and helpful. Great activities and entertainment for the kids. We will definitely be making a return visit. Friendly and helpful staff, we asked housekeeping for top sheets as the duvets were to heavy and it was v warm and it was no problem even down at swimming pool asked for extra towel for my hair and no problem either. Would definitely stay here again. Beautiful hotel!! It is great for families with its spacious family rooms, swimming pool and staff are very kind and tolerant of hyper children! Highlight of our stay was checking in to our room and finding five amazing cupcakes with a note to say welcome back as this was our second time staying at the hotel! Customer service at its finest! Will definitely be back. One wee recommendation though, bring your own swim hats as they are 3 euro a pop, might not sound like much but 15 euro for 5 swim hats is a bit steep! nice family friendly hotel, with excellent staff, have stayed many times with family and enjoyed this hotel. On arrival, hotel was cold in foyer and bar. Beds in family room very small. On a positive note, staff were extremely friendly and helpful and food in bar and breakfast was delicious. Great hotel, great location, great food and the room was bigger than we expected. We would stay here again. This is a fantastic hotel for a family break. The staff were very friendly and helpful. We stayed for two nights in a family room which was big enough for us. There is plenty to do in the vicinity with Glenveagh national park, Derry City and excellent beaches within a 30 minute drive. I would have given this hotel 5 stars however the mattresses and pillows were a uncomfortable and could probably do with being upgraded. Having said all that we are looking forward to going back in the future. Myself and my 3 kids had a lovely time in the Mount Errigal last week. We booked a non-smoking room but were mistakenly put in a smoking one. When we complained later that night we were moved to a larger and more suitable room. The pool was a bit cold at times and the kids pool was closed but otherwise it was great. The hotel showed a kids movie every night at 7.30pm which was well received. We dined in the hotel one of the nights and though the food was lovely. The hotel is in a very good location for touring and for the town. I would recommend this. The staff were very helpful and nice too. Very enjoyable stay in the Mount Errigal Hotel. Staff very friendly and helpful. Very good food. Excellent hotel with good food and great welcome. lovely hotel. rooms were very nice and very comfortable bed. had dinner in the bar which was lovely. staff were very friendly and helpful. only stayed one night would have liked longer will definitely return to stay at this Hotel. Enjoyed my stay, staff very friendly. Stayed at this hotel recently with my sister and 13 year old daughter for 3 nights and we all had a lovely time,room was clean and spacious,breakfast was good,dinner in the bar was excellent on both nights and the staff were also nice and friendly and helpful especially the barman called Gary he was extremely friendly and very helpful with directions for me regarding sightseeing in and around the Donegal area and he is a credit to the hotel so well done Gary and thank you.Swimming pool was excellent as was the sauna,steam room and Jacuzzi too so all in all we had an excellent stay and great value for money too so we will be back again in the future...Thank you. we had a lovely stay in this hotel .staff were most friendly. rooms were warm and comfortable.the food was lovely and great choice for the breakfast.just would ask for room at back of hotel in future as can be noisy at the front along the road. Hotel is fine to have a break in you are a family as the pool is great and very clean. Hotel staff very pleasant. We had a family room, one really comfortable bed and one not and the shower leaked very badly to the extent we had to get more towels to mop up the water. We stayed here 2 nights for our easter break, hotel staff were very friendly and very helpful. Our family room was of good size, clean and in a quiet area. Swimming pool was excellent and kids pool was a great size. We had bar food in the evening which was very good and breakfast was excellent, one of the best I have got so far. We were asked at reception whether we wanted to pay on arrival or we could pay on departure. Reception staff very friendly and helpful. We enjoyed our stay and plenty to do for kids in Letterkenny. We would definetly go back to the Mount Errigal and would reccomend. When we arrived we found the receptionist unfriendly but thorough and we were also asked to pay for our room inadvance when we checked in (Usually when we stay in hotels we tend to settle our bill when checking out not inadvance). We had two young children with us, we were hardly going to do a runner in the middle of the night. The room was big and clean but very tired looking and needed modernised. The staff in the leisure centre were very nice and really helpful. The swimming pool was a good size and it had a great children's swimming pool. I would advise future guests who wish to use the swimming pool to bring swimming caps with them. We were charged 3 euro for each swimming cap which were not individually wrapped and were quite cheaply made - very poor quality. In total 12 euro for 4 cheap caps which will not be used again. We ate dinner in the bar the food was OK. The bar staff were very nice and friendly. Breakfast was also nice and the staff serving breakfast were nice and friendly. Overall we had a nice stay but I do not think I would return to the Mount Errigal and would prefare to try another hotel. 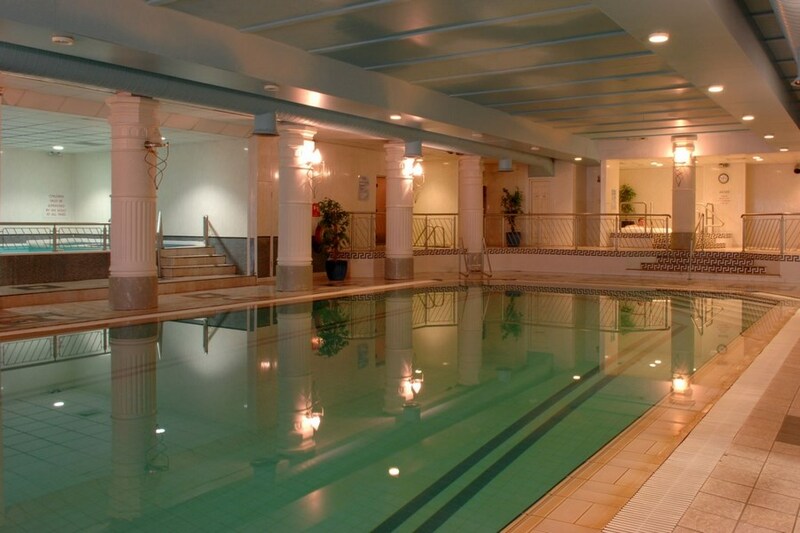 We really enjoyed our stay at the Mount Errigal Hotel, staff where very friendly, swimming pool was lovely & had great childrens pool, gym was good too, we would really recommend this hotel & will return. by Angie We stayed for 1 night only. Hotel very clean, although old fashioned. Staff was very friendly and helpful. Food was lovely. Leisure centre was great. No complaint about the room, the service the food or staff, however I was shocked about the behaviour of other guests and parents who obviously left their children alone in their rooms so they could go off drinking in the bar. Children as young as 6 years old were running and screaming down the hallways throughout the night through to 2-3am in the morning. On the first night I stayed I did not complain as there was a wedding on and I assumed it was guests returning to their rooms, however it was pretty obvious on the 2nd night that this was not the case. I think it is a disgrace that parents have such little regard not only for other guests staying at the hotel but also for their own children. Hotel were good enough to put on a movie for children at 7pm each night unsupervised. Some parents took that to mean that they did not have to stay to look after their own children, that they could leave them in a room with strangers and go to the pub to drink. I felt sorry for Hotel Staff who had to deal with this type of behaviour, however I would recommend if you put on movies for kids that you insist that there is at least 1 parent present!! End of Rant!! Very Nice Hotel Staff were very friendly and food of very good standard the only problem we had was the room was very cold. Very enjoyable stay at the Mount Errigel Hotel on Saturday 23rd February. We used the Leisure Centre which was fine, would have liked Shower Gel in Showers but everything else great. Rooms were great, plenty of space. Meal was lovely and entertainment in the bar very good and the Price was excellent. Hi stayed for 2 nights, the room was very small, had two kids 10 and 13 and the beds were very small. Had expected two single beds in a family room, they did not have any other type rooms when I rang reception to see if we could move to a bigger room. The lockers in the changing rooms of the leisure centre did not have any locks so could not leave watches etc in there, had to go back to room. The pool was full of chlorine and the water was cloudy on our second morning, was told it was air locked and sorted but would take some time to clear. The tiles around the edge of the pool were very uneven, my son stubbed his toe on them. The food for breakfast was very good, we did not eat otherwise in the hotel. The hotel would need to updated before I would return. Lovely Hotel, very nice Staff, Food wonderful, leisure centre great, BUT our room was small more like a single, shower not great and on first night mattress was passed it best, compained next morning and we were moved, so that was good. would I stay again for the deal I got, Yes, BUT other wise no. Oh and if you don't like shareing your space with kids, then don't stay in this hotel, if you have kids it seems good, well set up for their needs. Best bit Food! worst bit Mattress! 4 Stars for Food!